Shadow's ngọc lục bảo. .... HD Wallpaper and background images in the Nhím Shadow club tagged: shadow hedgehog the shadow the hedgehog drawing picture. This Nhím Shadow photo might contain bắp cải đỏ. sonic:hey!how come you dident give it to me! shadow:because you have a face of a goat. FREE EMERALDS!!! 6 EMERALDS COME AND GET A FREE EMERALD! 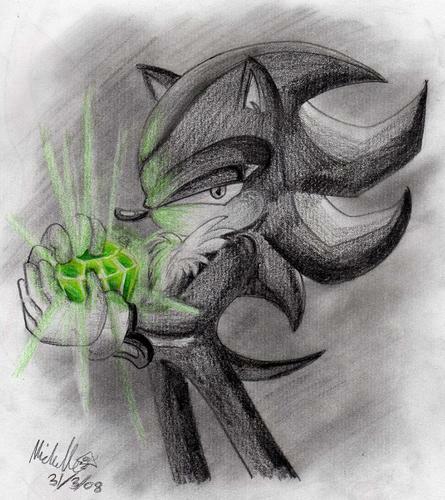 *grabs a purple emerald* Awesome! *grabs shadows emerald* YAYZ I HAVE 3! !